What do I REALLY want? – HubNut – celebrating the average! My perilous finances mean I rarely get to buy a vehicle I truly want. That’s how I ended up with a rusty Maestro van. It was on the sub-list of vehicles I wouldn’t mind owning, but I can’t pretend it was on the Must Have list. Having already owned a Maestro hatchback, I knew the van would never impress. I’m not sure I’ve ever really thought about exactly what is on the Must Have list. At school, I dreamt of owning a 2CV or a Dyane and a Land Rover 90 V8. I’ve ticked all of those off. The Landy was a bit disappointing (nothing fuel injection and a sports exhaust couldn’t remedy I suspect) but the 2CV has figured large on my fleet since 1996, occasionally joined by a Dyane of some sort. They’re utterly brilliant. I think the Range Rover and Discovery were also on the Must Have list. I enjoyed my time with both but got rather fed up with the constant maintenance they seem to need. I seemed to spend more time working on them than driving them. Frustrating. A Must Have vehicle – great fun. When it worked. An Alfa Romeo V6 is naturally a Must Have, and I managed to tick off the Alfa Romeo 164 at the same time – albeit not in my favoured red/grey colour scheme. Still, it was a great machine and I’d readily have another. The Citroen BX was on the Must Have list, but having owned seven of the things now, I think I’m going to have to relegate it to Wouldn’t Mind. There’s so much that’s good about them, but also much that frustrates. Definitely time for a BX holiday. Oddly perhaps, I don’t consider the DS a Must Have car. They’re actually too soft and large for my liking. Definitely a Wouldn’t Mind, but I think I could survive quite easily having never owned one. An SM is rather different. If I could ever afford to run one, I’d be foolish not to try. I need a Dream category too. The SM can sit alongside the Ferrari 288GTO and Series 1 Land Rover. The Citroen GS/GSA is a car I still very much desire though, as I covered in a Blog last year. On paper, they tick a great many more boxes than most. Definitely a Must Have as I’m very keen to see whether I can run one as a daily. I’ll have to hurry up before they all disappear. Perhaps more realistic on my budget, and certainly more likely to happen this year is the Rover 600. 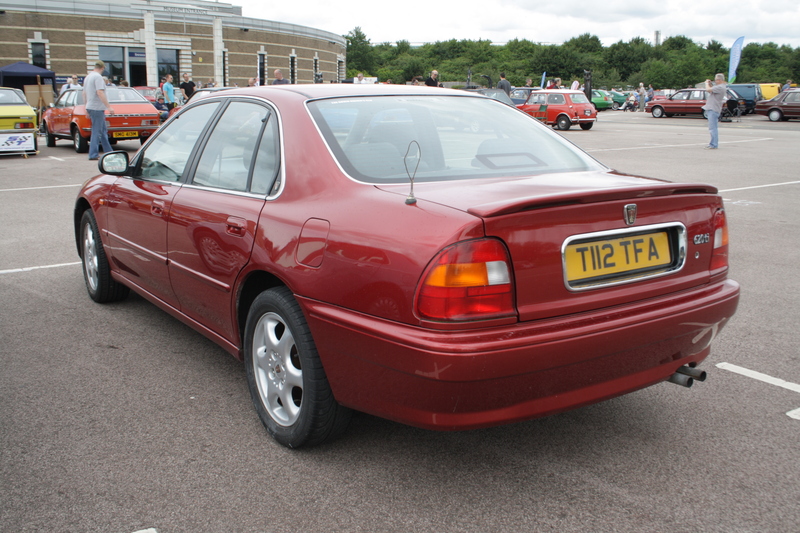 I know, a Rover 600 seems an unlikely choice for a Must Have but bear with me. Here are my reasons. First up, it’s a very attractive car. Richard Woolley frankly worked miracles to turn the turgid Accord the 600 is based on into one of the most effortlessly attractive saloons of all time. I particularly like the nose and how well it works with the typical Honda low scuttle. It rises very nicely up at the rear and is almost totally devoid of clutter. It’s clean and stylish. His design was penned in 1989 and even though Honda did almost all of the development and design work under the skin, the Rover managed to carve a unique niche for itself – far more so than the R8 Rover 200, Honda Ballade-based SD3 200 or Acclaim had before them. Perhaps there was a bit less of a Honda with the 800 but, and I’ll lose friends here, that’s probably a good thing. The 800 always felt a bit let down by its interior appointments, especially as the cars aged. What the 600 has is a Honda-designed interior, but very much inspired by Rover’s interior designs. The clunky feel with chaotic ergonomics is replaced by smooth contours. Rover made use of a different colour palette to make the Accord interior seem somehow much more classy despite being largely the same. 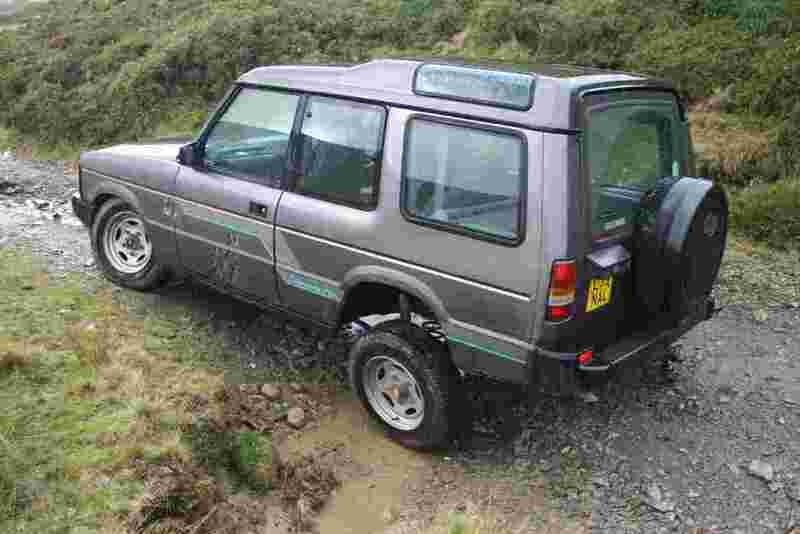 To me, the Honda/Rover partnership was a supremely successful one and I wish it could have continued. Both companies learnt so much from each other, and proved that platform-sharing could create vehicles of very different flavours – something Volkswagen now exploits to the full. I love the feel of Honda engineering, having been particularly impressed with a 1991 Civic 1.4GL I owned a few years ago. The cars ‘feel’ like something Mr Honda himself would have approved of. Mix in some British class and you ended up with a very attractive vehicle – the R8 Rover 200/400 in particular was rightly very popular with buyers. With the 600, engine choices were initially just 2-litre or 2.3-litre four-cylinder Honda units. By 1994, Rover’s own L-Series turbo diesel was added to the range, and then the T-series-powered 620Ti – a proper wolf in sheep’s clothing with 140mph and 0-60mph in just 7.2 seconds now possible. A smaller 1.8-litre Honda engine was latterly available before production ended in 1998. So, which one do I fancy? Well, probably not the 620Ti to be honest. Power corrupts and while the chassis can handle it, I probably can’t! I’d find it too tempting to get the turbocharger spooling up. The Honda petrols certainly appeal, perhaps with the automatic transmission for maximum waft. The diesel can deliver impressive economy though and as such a vehicle would be a mile-muncher for long trips, greater economy is probably the way to go. One thing I do know is that I’m fussy when it comes to colour. Silver and grey are out – far too dull. That leaves solid red, metallic Nightfire red, light gold or the odd turquoise colour they did. Dark colours don’t suit the car too much. It actually works nicely with a brighter colour, which contrasts with that returning Rover grille. I’m certainly scouring the classifieds already, though my purchase budget is not yet there. Still, it’s always good to do your homework and I really need to try a diesel to see if I like it. So, watch this space. See if I end up with a Rover I’ve always wanted, or some other random heap. If ever there was a time to try and rein in my old heap purchasing, this really is it. Hopefully I can, and can then discover whether the 600 is a car worth waiting 20-years for. 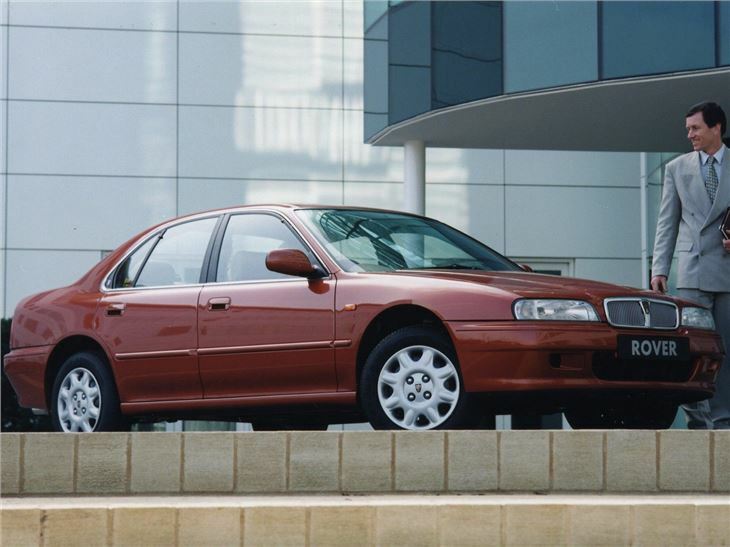 I really liked my rover 600, it was a very quiet and comfortable car, but a bit heavy on fuel, the Honda 2.0 was refined when warm but like all Hondas of that vintage they sounded a bit tappety when cold. Just make sure you get one with non rusty rear arches, and look out for rust hiding behind the sill covers near the rear arches.